KRAZY Horse, the Suffolk, UK-based custom shop and regular World Championship competitor, is collaborating with Ace Cafe London's Stonebridge Motor Company, to build 11 hand-made cafe racer bikes to celebrate 110 years of Harley-Davidson (one for each decade) and 75 years of Ace Cafe London. 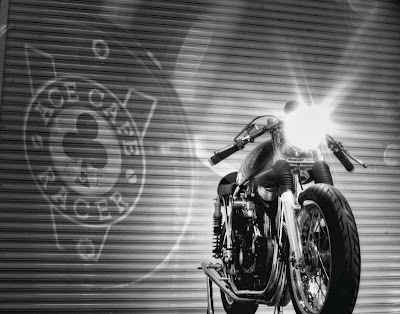 Krazy Horse has developed the Limited Edition Ace 1200 CR Street Special in close association with Ace Cafe London's Stonebridge Motor Company (StoMoCo). The bike is based around a 1,200cc V-twin engine from H-D, which is mounted in a Norton 'featherbed' style wide-line frame built especially for the project. Fully detailed with high gloss black powder coated cylinder heads, primary cover, cut down timing case and an Ace Cafe Racer points cover, the engine breathes through an S&S Cycle Super E carburetor, and exits gases via a polished stainless-steel, handmade exhaust system. A six-plate clutch ensures power is transferred to the five-speed gearbox; and stainless steel wheel spokes, polished aluminum hubs and specialist tires guarantee the bike's handling. Commenting on the creation of the limited edition machine, Krazy Horse owner and MD Paul Beamish said: "This is the ultimate tribute to Harley - the art of custom at its ultimate best. The new Ace 1200CR Street Special will be for petrol-heads everywhere who want to own something that is contemporary with a seriously vintage theme. But there will only be a very limited number made - so people will have to be quick to get one." "The bike is light, nimble and fast making it a true cafe racer. People who ride these bikes will know the true feeling of freedom, power, torque and sheer excitement. It will combine classic styling with unfettered engineering excellence." "This new bike will most definitely be a collector's item, but it will be at its very best when it's on the road, doing what It does best," says Mark Wilsmore, MD of Ace Cafe London. "Built in England and powered by America, its timeless lines and raw power combines with effortless handling and exhilarating performance. Combining the very best of the US and Britain, we are delighted to be able to bring you a ton-up legend, celebrating Harley-Davidson and Ace Cafe London, bringing you a beautiful new ride - the Ace Cafe Racer." 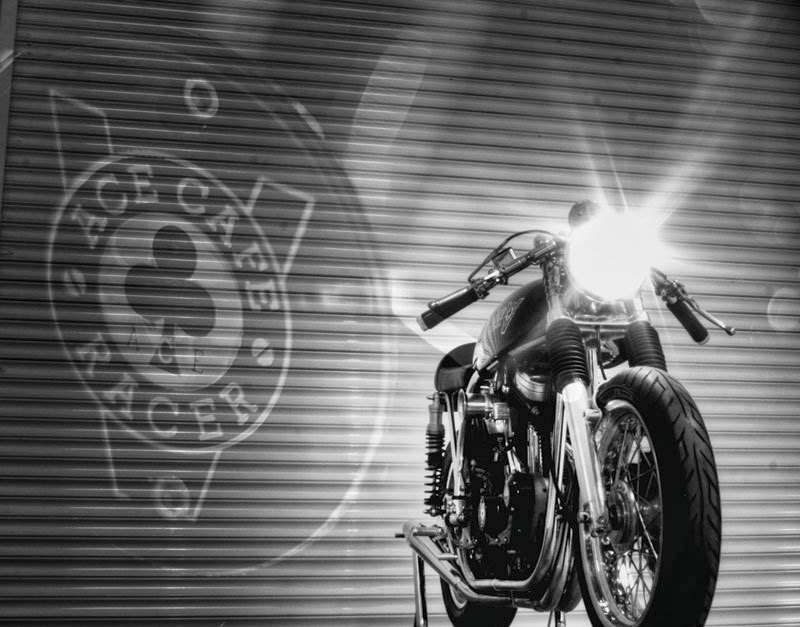 This bike is the fourth to come from the Ace Cafe, London, Stonebridge Motor Company stable. Previous models include the Cafe Racer Classic (Little Miss Dynamite), the Ace 904S Thruxton Special and the Ace 675CR Street Triple Special. Opruiming bij Oude Monnink Motors! Photo's of Bigtwin Bikeshow NOW Online! Photo's Swapmeet 'Silent Gray Fellows are Online!